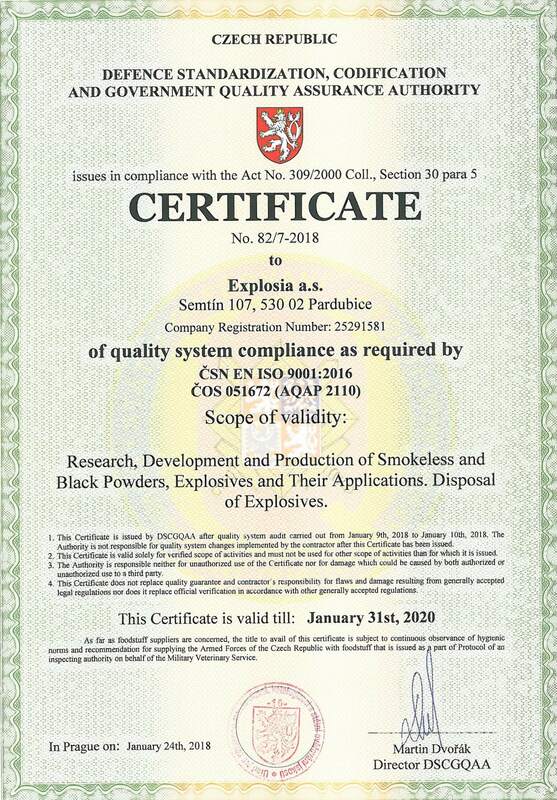 In 1998 a quality management system certified within the standard of ISO 9001 was implemented. 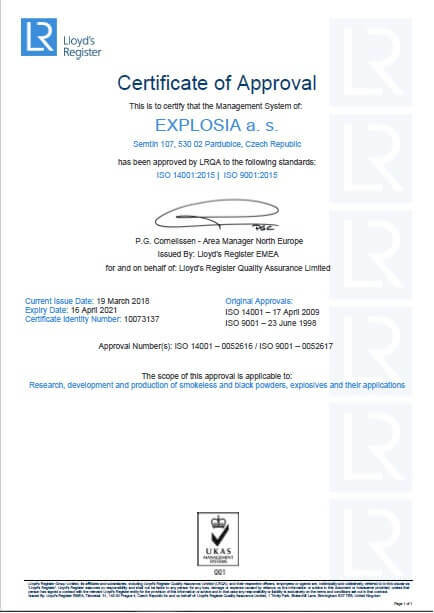 In 2004 the company Explosia a.s. gained the certificate of compliance with the requirements for the quality management system of ČOS 051602 (AQAP 2110). 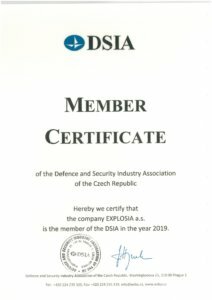 The company was awarded an integrated certificate of ISO 9001:2015 – ISO 14001:2015 issued by the certified company Lloyd’s Register EMEA Prague on 16th March 2018.